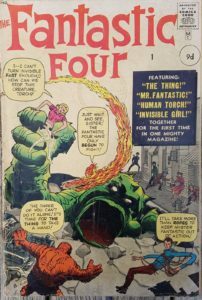 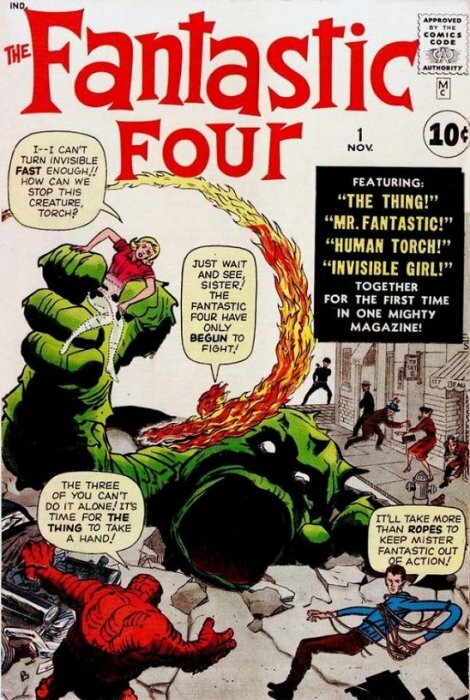 Fantastic Four Comic book #1 is considered as the earliest of the Marvel Silver Age key issues. 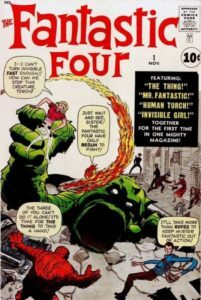 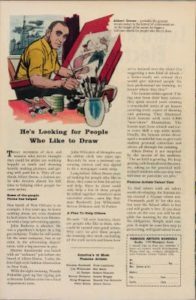 It is often credited as one of the most important comics in Marvel’s history, helping usher in the “Marvel Age of Comics” and effectively placing Marvel as the top comic publisher for many years. 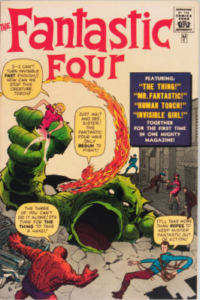 Most comic book collectors and historians considered Fantastic Four comic #1 as the start of the Marvel Age of comics. 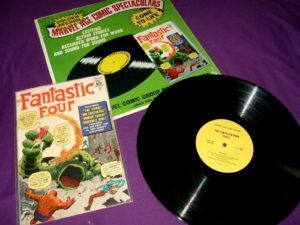 All reprinted comics had slightly different covers, and the Golden Record Reprint came along with an LP record of the story (pictured). While Reprints are worth a fraction of the originals, they are still collectible — especially since for many collectors, the original issues are high valued and are well beyond their budget. 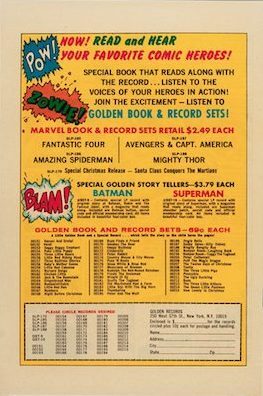 -The back cover of reprint is different. 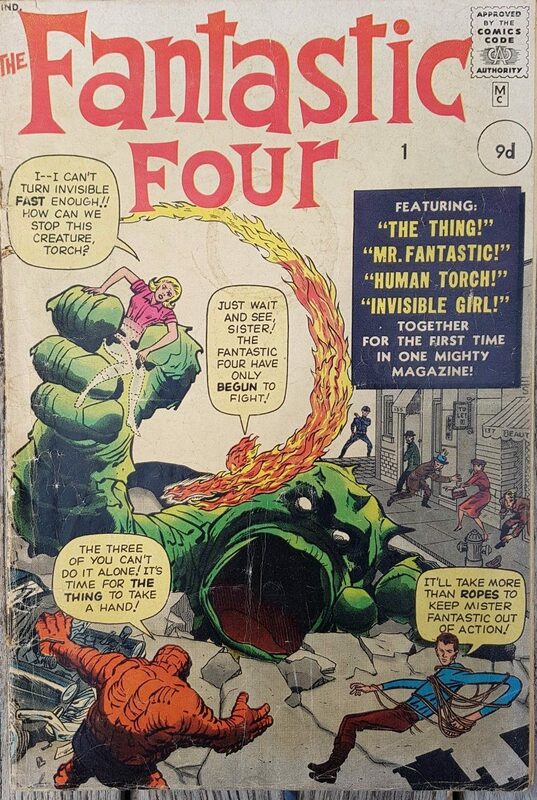 This entry was posted in Comic Book Values, Fantastic Four and tagged Fantastic Four by Wyne. Bookmark the permalink.